Land use and land cover maps and their physical-chemical and biological properties are important variables in the numerical modeling of Earth systems. 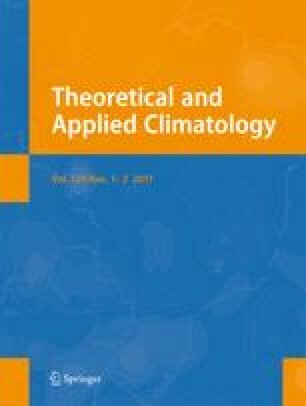 In this context, the main objective of this study is to analyze the improvements resulting from the land use and land cover map update in numerical simulations performed using the Regional Climate Model system version 4 (RegCM4), as well as the seasonal variations of physical parameters used by the Biosphere Atmosphere Transfer Scheme (BATS). In general, the update of the South America 2007 land use and land cover map, used by the BATS, improved the simulation of precipitation by 10 %, increasing the mean temporal correlation coefficient, compared to observed data, from 0.84 to 0.92 (significant at p < 0.05, Student’s t test). Correspondingly, the simulations performed with adjustments in maximum fractional vegetation cover, in visible and shortwave infrared reflectance, and in the leaf area index, showed a good agreement for maximum and minimum temperature, with values closer to observed data. The changes in physical parameters and land use updating in BATS/RegCM4 reduced overestimation of simulated precipitation from 19 to 7 % (significant at p < 0.05, Student’s t test). Regarding evapotranspiration and precipitation, the most significant differences due to land use updating were located (1) in the Amazon deforestation arc; (2) around the Brazil-Bolivia border (in the Brazilian Pantanal wetlands); (3) in the Northeast region of Brazil; (4) in northwestern Paraguay; and (5) in the River Plate Basin, in Argentina. Moreover, the main precipitation differences between sensitivity and control experiments occurred during the rainy months in central-north South America (October to March). These were associated with a displacement in the South Atlantic convergence zone (SACZ) positioning, presenting a spatial pattern of alternated areas with higher and lower precipitation rates. These important differences occur due to the replacement of tropical rainforest for pasture and agriculture and the replacement of agricultural areas for pasture, scrubland, and deciduous forest. We would like to thank the São Paulo Research Foundation (FAPESP) for their financial support (2010/07083-0).